Brian Johnson is a special effects maestro. He has worked on some of the most successful movies and TV shows of all time including Alien, 2001: A Space Odyssey, Thunderbirds and Space: 1999 and Star Wars: The Empire Strikes Back in which he won an Oscar in the Special Achievement Academy category. 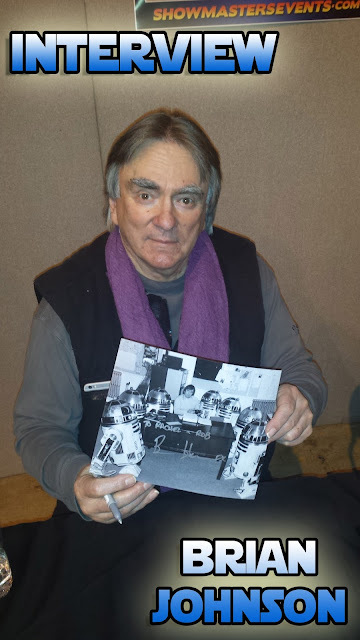 While I was at Showmaster's Cardiff Film & Comic Con I was lucky enough to have a chat with the Oscar winning special effects in which I ask him about his time in Norway filming The Empire Strikes Back, working with George Lucas and where the special effects industry is going today. The thought of working on Star Wars: The Empire Strikes Back must have been an unbelievable experience and of course I was a little envious until he mentioned the spiders. That would have been a big nope for me.